People learn by creating connections between the familiar and the possible. So it should come as no surprise that, as content marketers, we often approach the task of developing new ideas and initiatives by referencing, analyzing, and iterating on the creative experiences we know and love – standing on the shoulders of giants, so to speak. Of course, discovering the essence of what makes some campaigns rise above so many others is no small feat. Nor is figuring out how to apply those elemental insights in pursuit of our own business goals, audience needs, and competitive opportunities. To help ease your creative content journey, we’ve just done some of that legwork for you. 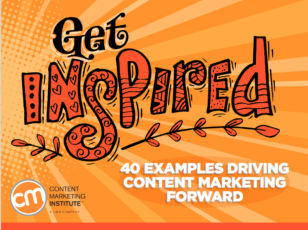 In our latest examples collection, Get Inspired: 40 Examples That Are Driving Content Marketing Forward, we show how leading B2B and B2C businesses raised the marketing bar with standout content efforts. An update to one of our most popular e-books, this year’s edition features novel creative formats and platforms, shares insights on the latest technology-driven approaches, and illustrates new ways brands are igniting the flames of long-lasting consumer passion with a spark of ingenuity. What’s more powerful than content that tells your brand story? Enabling influential members of your audience to share their experiences with your business. Give them a way to express their ideas, opinions, or artistic talents – and recognize them for their contributions – and you’ll earn a special place in their hearts. 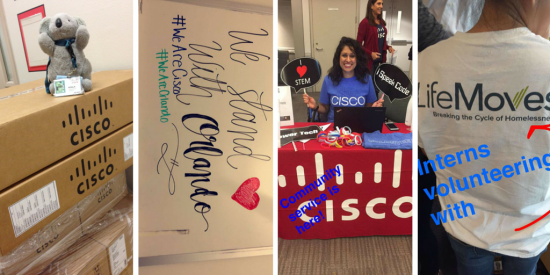 Cisco invited 20 super-ambassador employees from several office locations to an online brainstorming session about how to connect with university students, new graduates, and other members of Generation Z. That group (dubbed the Kitten Rainbow Unicorns to reflect everything that’s awesome about the web) developed a successful ongoing program in which the company’s young go-getters share daily Snapchat Stories about what it’s like to work inside Cisco. Creating content that provides exclusive tips and reveals hidden functionalities or offers helpful user hacks, shortcuts, or personalized offerings can deepen engagement and help customers get more out of their investment in your brand. AI tools can make messaging more targeted and valuable. For example, the Orlando Magic NBA team uses Wordsmith to personalize its emails and in-app messages to fans and ticketholders. The messages are triggered by pre-set rules, conditions, or available offers like ticket resales. Answering customer questions and providing easy access to account data, tech support, or other customized solutions is a great way to increase their satisfaction with your business – not to mention it can save some wear and tear on your sales and service teams and call centers. A patient journey complicated by the need for ongoing care can present health care industry marketers with a distinct set of informational challenges. But Cleveland Clinic is among a number of digitally savvy health care organizations rising to the occasion with its patient portal and MyChart system. Invaluable content tools like this offer patients direct access (online or through the mobile app) to relevant portions of their electronic medical record (including lab results, diagnostic images, prescribed medications, and physician notes and recommendations), enabling them to easily share information with their health care providers and take better control of any follow-up care they might need. HANDPICKED RELATED CONTENT: Does Your Health Care Content Hold the Cure for Customers in Crisis? The best content campaigns are those that linger long past the initial engagement and satisfy a customer’s need for ongoing personal attention. Whether it’s telling a series of universally relatable stories or enabling your audience to process and apply greater emotional intelligence to decision-making, creating content that speaks to their individual motivations and unique situations is a powerful way to build more trusting and loyal relationships right from the start of their interactions with your brand. To help potential clients assess how best to approach long-term financial planning, OppenheimerFunds conducted Optimist Index research, using biometric technology to gauge the physical cues that bodies exhibit in reaction to three key investment themes: aging, emerging markets, and innovation. The resulting emotional response data formed the basis of a multi-sensory interactive content experience that provides visitors with a personalized reflection of their economic optimism and suggests investment strategies that would best align with their comfort level. Though some topics – like mental illness, racism, gender identity, or homelessness – are daunting for even dedicated nonprofit brands to approach with due sensitivity, significant benefits can be had when you position your marketing content as an agent of necessary change. Informative content that increases understanding of deep-seated societal issues; provides a forum for open, honest discussions; or actively advocates for those in need raises the bar for marketing with purpose – a critical differentiator among millennial and Generation Z consumers, who might prefer to support brands that believe in something greater than themselves. 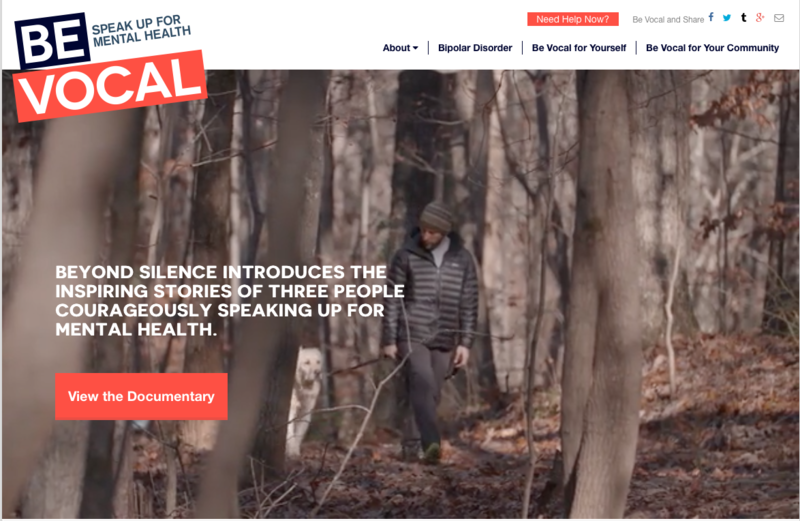 This nonprofit organization partnered with award-winning documentarian Shaul Schwarz to launch Beyond Silence, a 29-minute documentary that takes a novel approach to discussing mental health. The film follows three people living with mental illness, honestly portraying their personal struggles, yet showing how their lives changed for the better when they decided to speak out about those struggles. Despite the absence of any paid promotion for the film, Beyond Silence successfully extended the reach of the Be Vocal message. According to health care communications agency Biosector2, the effort earned coverage in more than 242 articles and an estimated 416 million impressions. And, looking beyond its marketing impact, the effort has also led to a meaningful societal change: The Federal Bureau of Prisons has begun to incorporate Beyond Silence into its mental health and suicide prevention training program for 63,000 staff members across 130 locations. The old Girl Scout mantra – make new friends, but keep the old – may hold a nugget of wisdom for marketers, since research has shown that it can be more cost effective – and more profitable – to focus on retaining customers rather than on acquiring new ones. If you have a hot brand on your hands, why not reward those loyal customers and active subscribers for their passion and patronage by giving them exclusive content they can’t find elsewhere – like a sneak peek behind the scenes, Easter eggs for them to discover, or new platforms on which to connect with others who share their interest? SEMrush is a competitive research toolkit for online marketing with more than 20 research tools for SEO, PPC, and content marketing, and an expanding list of features. Although coming up with those new features hasn’t been a problem, telling its users about them has. 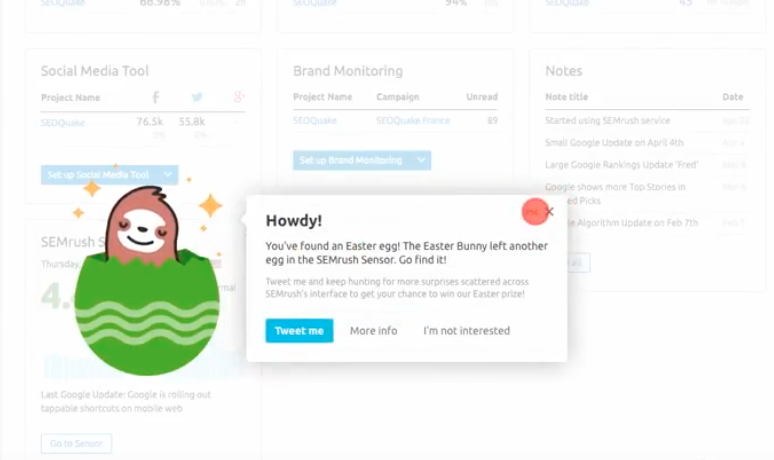 SEMrush gamified its educational process with a virtual Easter egg hunt, challenging users to find 15 “eggs” by completing desired actions within various SEMrush tools. Working with innovative platforms, interactivity, or other tech-enhanced content techniques is a great way to impress both digital-savvy audiences and those who are eager to enhance their field of experience. Being among the first brands to branch out into uncharted territories can also give you a distinctive edge over your competition – as long as you have a sound strategic reason to incorporate those flashy new features. Sweden’s Gjensidige Insurance worked with a local hospital to film the birth of a child in 360-degree video, creating a VR experience that anyone can watch. It’s a fantastic way for expectant moms to get a sneak peek into the birthing experience, which typically remains shrouded in a cloud of anxiety-inducing mystery. The insurance company anticipates that the effort (shot from a respectful angle that lets viewers stand in alongside the mom) may help expectant parents feel more comfortable and prepared for the birth of their own child. Brands in all industries, from beer brewers to business computers, understand the emotional appeal of injecting cuteness into their content (just think of how many adorable animals found their way into Super Bowl commercials last year and tell me I’m wrong). That’s not to say your business should randomly put a kitty meme or puppy picture into your next video or blog post and call it a strategic campaign; but if your brand already has an organic connection to a topic your audience members are likely to feel passionate about, why not look for creative ways to further their joy while simultaneously furthering your marketing mission? Pet adoption is a rewarding experience on its own. But the Amanda Foundation (a Los Angeles-area rescue organization) found a great way to make gorgeous pictures of the animals under its care pay off, too. 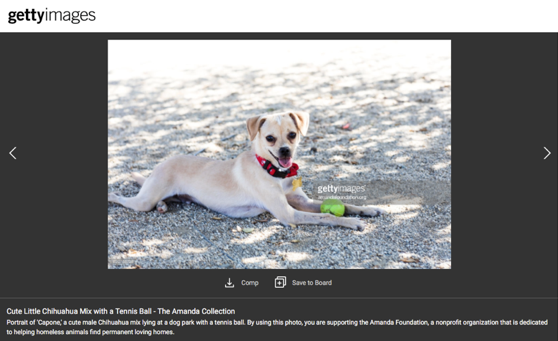 The group partnered with Getty Images to create a stock image collection using the photos the Amanda staff routinely takes in its efforts to help homeless pets find loving homes. For every stock image purchased from the collection, the Amanda Foundation receives a donation. As busy content marketers, we may not have the kind of time it would take to map the full genome of content genius down to a reliable and repeatable science, but we can all recognize the signs of an authentic and powerful storytelling effort that inspires audiences to take action. We hope these examples give you plenty of raw material to keep driving your own creativity forward. Download the 2019 e-book with all the great examples.